1 drawing on paper ; 5 x 8 in. 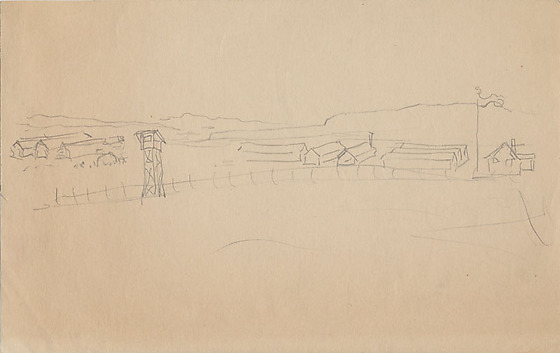 Pencil line drawing of landscape view of concentration camp. A guard tower is located center left with fence running across center horizon; three barracks are visible on the left and seven on right; a flag flies on a flagpole separating barracks from a structure with chimney. Outline of mountains visible in background.